The primary function of the isolator is to eliminate ground loops that may exist between two or more instruments. A classic application isolates the control room equipment (computers, PLC, DCS etc.) from field devices which may have different ground potentials. In addition to break ing up ground loops, the isolators protect control room equipment from damaging transient spikes and noise generated in the field. Choosing the proper and most cost-effective isolator requires an understanding of the application and consideration of future expansion requirements. Isolators are available in 2, 3, and 4 wire configurations. Isolators are further classified as input, output, or 3-way (input, output, power) isolators. Input isolation implies the input signal has no electrical connection to the output and power signals. Output isolation implies the output signal has no connection to the input and power. And similarly, 3-way isolation refers to a situation where there is no electrical path between the input, output, or power. The technical paper below describes four types of isolators and typical PLC/DCS applications in which they are best suited. 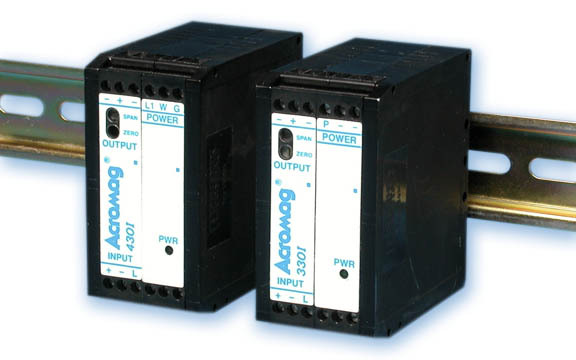 Each isolator produces a 4-20mA DC output signal corresponding to the 4-20mA DC input signal. The Ins and Outs of Isolation: A Guide to Selecting The Right Isolator from Instrument Specialties, Inc.